How did the club get its name? Ceilidh is pronounced kayley and is a Scottish word meaning a social event with music, dancing and song. The Grand Ceilidh Club is in no way Scottish but there doesn't seem to be a suitable English word, so the Scottish word has been adopted in England for this kind of event where the dancing is in barn dance style. 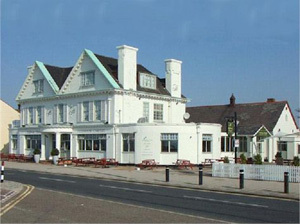 The club first met at the Grand Hotel in Leigh, hence the rest of the name. As the club started in Leigh-on-Sea the logo illustrates some symbols of Leigh. In the background are Leigh church and Hadleigh castle and in front are a Thames barge and a copy of the only known illustration of the Essex bagpipes. How did the club start? 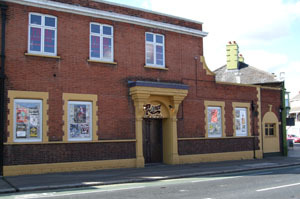 The club opened in January 1978. The club was formed after the end of an era, namely the closing down of Southend Folk Club, and the existing members (few but enthusiastic) decided to reform but as a ceilidh club. Why a ceilidh club? Mainly because it was felt that a demand for one existed following the support that ceilidhs in general had and also, the committee needed something to organise! After a great deal of searching an ideal venue was found at The Grand Hotel in Leigh Broadway, which had a room with a specially sprung floor suitable for dancing (as some call it), reasonable acoustics, and an understanding landlord! The opening night arrived and the committee, together with a few loyal friends and relatives (there for moral support) waited with a mixture of pessimism and optimism to see if anyone, apart from ourselves, would turn up. - Then the stampede started, and 130 people of assorted shapes and sizes all squeezed in and the club was born. We have been successful so far mainly thanks to the excellence of our resident ceilidh band Jig & A Half, Reg & Pam Smith & Paul Butcher, and Barrells Bottom Ceilidh Band, together with our resident singers John Coppins, Roy Brown and Kiti & Derek Theobald and others too numerous to mention. If you fancy a good time at a friendly and very informal club, why not come along on a Wednesday night at 8 p.m. In 1984 the ballroom at the Grand Hotel was converted to a function room with most of the floor carpeted. The club moved to the Half Way House. Within a short time the dance floor there suffered the same fate and another move became necessary. 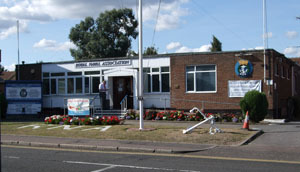 We moved to new premises at Southend Rugby Football Club. We now start a little later in the evening but we have kept the tradition of having a live band every week and we believe that, in this respect, our club is unique. In 1999 The Generation Game with Jim Davidson featured barn dancing. The Famous Potatoes went to the BBC Television Centre to provide the music and people from the Grand Ceilidh Club went with them to demonstrate the dances. They all had to wear hillbilly costumes for the show but they have hopefully all recovered from that experience now. In March 2005 the club celebrated 20 years meeting at the same venue. This was celebrated by a donation to the SRFC and a plaque on the clubhouse wall will remember this occasion along with the others recording donations by friends of SRFC. The cheque was presented to SRFC secretary Neil Harding who reciprocated the good will by offering all Ceilidh Club members a drink from the bar. 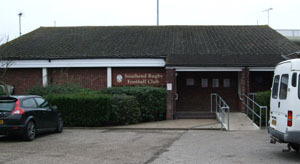 The Grand Celidh Club thanks the Southend Rugby Club for twenty years of hospitality and friendship. 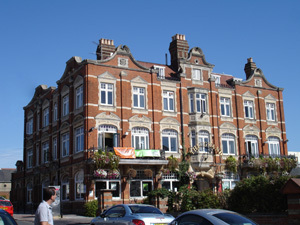 In 2011, after 26 years at the Rugby Football Club we moved again, this time to the Riga Music Bar in Milton Road, Westcliff. The dance floor at the Riga proved to be too small and so, in 2012 after about 18 months, we moved again to the Royal Naval Association. If anyone would like to provide a paragraph on any aspect of the club's history we would be very pleased to receive it. Here we list all the bands, callers and guests who have appeared at the club in order of appearance. Information from the early days was a little incomplete so some names may be missing, particularly those of the early callers. Let us know if you know of anyone who has been missed.